Double LP version; includes download. Ear-splitting hard-rock/proto-doom-metal from the early '70s, Electric Funeral were a pioneering Swiss hard-rock band who sadly never registered any studio recordings at the time. Formed in the late '60s by Edi Hirt (drums), Pierrot Wermeille (bass), Alain Christinaz (guitar), and Dominique Bourquin (vocals), they were influenced by bands like Deep Purple, Black Sabbath, and Led Zeppelin. Famous for their loud (they played behind giant stacks of Marshall amps) and powerful shows, their sound was too heavy-sounding for a regular label to offer them a contract. The Wild Performance is made of private live and rehearsal tapes recorded in 1970 -- very raw and lo-fi -- but it's the only testimony of their brutal sound. First released in 1991 as a limited LP, this is an expanded edition with newly remastered sound and four killer bonus tracks, taken from reels and tapes recently found in the band's archives. These tracks were also recorded in 1970 except for "My Destiny", which dates to 1973. The sound is still lo-fi but slightly better than the original tracks, especially on the killer "You Can Help" (proto-punk á la Electric Eels), "My Destiny" and the alternate version of "You Can Help". RIYL: Black Sabbath, Iron Claw, Edgar Broughton Band, Moses, Sainte Anthony's Fyre. Includes insert with rare photos and liner and notes by Klemen Breznikar (It's Psychedelic Baby). 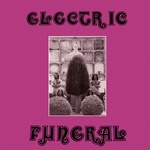 Ear-splitting hard-rock/proto-doom-metal from the early '70s, Electric Funeral were a pioneering Swiss hard-rock band who sadly never registered any studio recordings at the time. Formed in the late '60s by Edi Hirt (drums), Pierrot Wermeille (bass), Alain Christinaz (guitar), and Dominique Bourquin (vocals), they were influenced by bands like Deep Purple, Black Sabbath, and Led Zeppelin. Famous for their loud (they played behind giant stacks of Marshall amps) and powerful shows, their sound was too heavy-sounding for a regular label to offer them a contract. The Wild Performance is made of private live and rehearsal tapes recorded in 1970 -- very raw and lo-fi -- but it's the only testimony of their brutal sound. First released in 1991 as a limited LP, this is an expanded edition with newly remastered sound and four killer bonus tracks, taken from reels and tapes recently found in the band's archives. These tracks were also recorded in 1970 except for "My Destiny", which dates to 1973. The sound is still lo-fi but slightly better than the original tracks, especially on the killer "You Can Help" (proto-punk á la Electric Eels), "My Destiny" and the alternate version of "You Can Help". RIYL: Black Sabbath, Iron Claw, Edgar Broughton Band, Moses, Sainte Anthony's Fyre. Includes insert with rare photos and liner and notes by Klemen Breznikar (It's Psychedelic Baby). 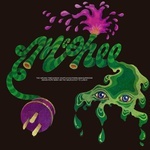 Sommor Records present a reissue of McPhee, one of the rarest albums from Australia, originally released in 1971 on the Violets Holiday label. Acid-rock/prog-psych with a jam/club live feel. Long tracks, powerful female/male vocals, prominent Hammond and hard guitar. Wild covers of Spooky Tooth, The Beatles, Neil Young -- plus a couple of killer originals. RIYL: Affinity, Jefferson Airplane, Nosferatu, Brian Auger. Master tape sound; Includes insert with liner notes by Ian McFarlane. LP version. Includes insert with lyrics, liner notes, and photos. 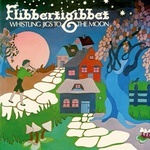 Sommor Records present a reissue of Flibbertigibbet's Whistling Jigs To The Moon, originally released in South Africa in 1978. Whistling Jigs To The Moon is not only a very rare and sought-after album but also a wonderful collection of traditional and original folk tunes with a strong Celtic influence. Featuring Alison O'Donnell and David Williams from psych-folk legends Mellow Candle. In 1974, following the break-up of Mellow Candle, Alison and David arrived to South Africa. Once there, they met a couple of fellow expat musicians, Barrie Glenn and Jo Dudding, forming Flibbertigibbet in a niche folk and traditional circle of immigrant and local musicians, building up a repertoire of tunes and songs both original and traditional. They appeared at evenings held in communal houses, at folk nights and the Boksburg Folk Club. Producer David Marks offered to release their album and launch it in a series of concerts at the renowned Market Theatre. They enlisted the help of a number of fine musicians on the recording, namely classical first violinist Francesco Cignoli, jazz bassist Denis Lalouette, Nippy Cripwell on string bass, Colin Shapiro on flute, and Dave Lambert on fiddle. Whistling Jigs To The Moon saw the light in 1978. 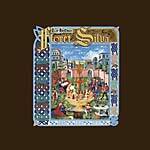 RIYL: Steeleye Span, Spriguns Of Tolgus, Fairport Convention. Master tape sound; includes insert with lyrics, liner notes, and photos. 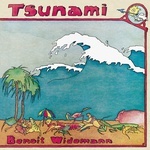 Sommor Records presents a reissue of Benoit Widemann's second album, Tsunami, originally released in 1979. French keyboard wizard Widemann's (ex-Magma) Tsunami is an incredible mix of electronics and jazz-fusion with prog/avant-garde/minimal elements, along with treated Minimoog, Oberheim synths, Rhodes, early computer sequencing plus bass, drums, guitar, sax. Featuring Jean-Pierre Fouquey (ex-Magma), Jean-Pierre Grasset (Verto), and Jean-Paul Ceccarelli among others. Widemann on the music: "Digital computer-based sound in 1979! We were the avant-garde!" Remastered sound, insert with liner notes/interview by Halfway Ritmo and photos. Sommor Records present a reissue of Catch Up's Vol. 1, originally released on Calig in 1975. 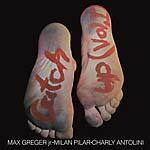 One of the best jazz-funk-fusion albums from the '70s Euro scene, featuring such giants as Charly Antolini (famous for his MPS recordings) on drums, Max Greger Jr. on electric piano, Moog, Hammond, and Mellotron, and Milan Pilar on electric bass. Top-notch jamming and soulful funky-jazz sound with some kraut-prog touches, recorded at the legendary Studio 70 in Munich. Includes the rare-groove classic "Onkel Joe" and more. Original artwork and master tape sound. 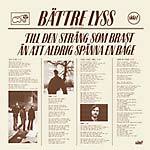 Sommor Records present the first ever reissue of Bättre Lyss's Till Den Sträng Som Brast Än Att Aldrig Spänna En Båge, originally released in 1975. Rare Swedish psychedelic hard and progressive rock with powerful guitar/organ and great melodic vocals, featuring ex-Life member Anders Nordh on guitar. The Bättre Lyss project was born during 1973-74, when mutual friends Rolf Hammarlund (vocals, bass) and Christer Palmquist (vocals, acoustic guitars, piano) started to write songs sung in English. Soon after, the lyrics were changed to Swedish and another friend, drummer, and songwritter Rolf Johansson joined in. That's when they decided to record an album. Helped by some talented friends, including three electric guitar players (among them Anders Nordh of Life fame) and a flute/sax player plus an organist, they registered Till Den Sträng Som Brast Än Att Aldrig Spänna En Båge on a two-track machine at a state-of-the art studio. The result was stunning and was released as a private pressing in 1975. File next to: November, Life, Saga, Bazar, Silberbart. Master tape sound. LP version. Sommor Records present the first ever reissue of Bättre Lyss's Till Den Sträng Som Brast Än Att Aldrig Spänna En Båge, originally released in 1975. Rare Swedish psychedelic hard and progressive rock with powerful guitar/organ and great melodic vocals, featuring ex-Life member Anders Nordh on guitar. The Bättre Lyss project was born during 1973-74, when mutual friends Rolf Hammarlund (vocals, bass) and Christer Palmquist (vocals, acoustic guitars, piano) started to write songs sung in English. Soon after, the lyrics were changed to Swedish and another friend, drummer, and songwritter Rolf Johansson joined in. That's when they decided to record an album. Helped by some talented friends, including three electric guitar players (among them Anders Nordh of Life fame) and a flute/sax player plus an organist, they registered Till Den Sträng Som Brast Än Att Aldrig Spänna En Båge on a two-track machine at a state-of-the art studio. The result was stunning and was released as a private pressing in 1975. File next to: November, Life, Saga, Bazar, Silberbart. Master tape sound. 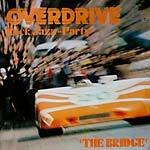 Sommor Records present the first ever vinyl reissue of The Bridge's Overdrive - Rock/Jazz - Party, originally released on the budget Tempo label from Germany in 1972. A fabulous kraut, jazz-funk, fusion, rare grove, library album with lots of fuzzy distorted organ and Fender Rhodes courtesy of Kristian Schultze (pre-Passport) plus the mighty Pawel Jazerbski on bass and Joe Nay (Tete Montoliu, Roland Kirk, Blue Note Club) on drums. Master tape sound. Original artwork; Includes insert with liner notes. RIYL: Passport, Sunbirds, Nucleus, Klaus Doldinger. Sommor Records present a reissue of Kedama's Live At Sunrise Studios, originally released in 1976. Swiss heavy-prog/kraut monster, originally released as a private, hand-made edition of 200 copies. Long instrumental/experimental tracks fueled by mellotron, Hammond, MiniMoog, ripping distorted guitar, and heavy drums. Kedama came from St. Gallen in the north-eastern corner of Switzerland, near the Bodensee -- only a few kilometers from Germany and Austria. Their name was inspired by Ketama, Morocco, famous for its cannabis fields. They were amongst the first bands -- possibly the first -- to record at Etienne Conod's legendary Sunrise Studios, using the "kunstkopf" artificial head system. Unfortunately, the lack of experience with this new system resulted in a slightly thin sound on the album. This reissue vastly improves the depth of the recording. Live At Sunrise Studios comprises four long instrumental tracks, two on each side of the LP. This is essential stuff, from the weird psych-funk of "Hwrlnzg" to the sitar-drenched "Improvisations". RIYL: King Crimson, Egg, Fusioon, Supersister, Jonesy, Gentle Giant, Tetragon, Siloah. 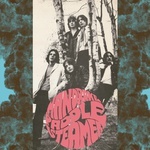 Newly remastered sound; Includes insert with rare photos and liner notes by Alan Freeman (The Crack In The Cosmic Egg (1971)); Repro of a rare promotional booklet; Includes download card which features seven amazing bonus tracks taken from unreleased studio sessions (1973-77) and the compilation Perspectives (1975); Edition of 550 (numbered). 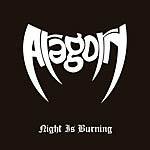 There are few bands who can claim to have built their reputation on one single, but such is the situation for Aragorn, formed in Chesire in 1978. They were one of the first acts to sign to Neat Records as the new wave of British heavy metal erupted. But fate conspired to ensure that they only ever released one single, the killer Black Ice/Noonday (1981), which has definitely become something of a cult 45 among aficionados of the genre. Here it is, along with 12 tracks taken from a then unreleased album from 1982-83. A must for anyone into obscure, '70s styled hard-rock, and early metal. RIYL: New wave of British heavy metal, Angel Witch, Motörhead, Witchfynde, Black Sabbath. Remastered sound; Insert with liner notes and photos. 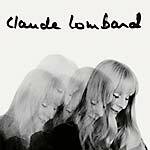 Sommor Records present the first reissue of Claude Lombard's Chante, originally released in 1969. Presented in the original French edition gatefold artwork. Produced by Roland Kluger (Chakachas, Free Pop Electronic Concept), arranged by Willy Albymoor and recorded at the legendary Madeleine Studios in Brussels. Insert with liner notes by pop connoisseur Don Sicalíptico. RIYL: Stereolab, Broadcast, White Noise, Delia Derbyshire, Astrud Gilberto, Roger Webb Sound. Gatefold LP version. Includes download coupon. 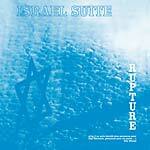 Sommor Records present a reissue of Rupture's Israel Suite / Dominante En Bleu, originally released in 1973. Rupture was born when famous French songwriter Boris Bergman (France Gall, Dalida, etc.) decided to record a conceptual album about the history of Israel. He approached ace drummer and singer Sylvain Krief (Airto Fogo, Michel Fugain, Aznavour, Clark Terry, Bud Powell, etc.) and soon, other musicians joined: Jean-François Jenny-Clark (Don Cherry, Steve Lacy, etc.) on bass, Georges Locatelli (Total Issue) on guitar, and Jean-Pierre Mas on piano, organ, guitar, and vocals. In resume, Rupture was a kind of super-group featuring some of the best musicians from the Euro jazz/progressive/fusion scene. It also included collaborations by Michel Fugain and Nicole Croisille. The album was recorded over a period of three months and the result was released as a very limited private pressing with help from the Futura label. Arranged by Sylvain Krief and Jean-Pierre Mas, Israel Suite included a side-long suite on side A and shorter songs on Side B. An incredible mix of vocal/spiritual jazz, funk, progressive, jazz-pop, psych -- An impossible to find rarity from France. RIYL: Cortex, Les Masques, George Arvanitas, Herbie Hancock, Full Moon Ensemble. Original artwork. Sommor Records present an expanded reissue of Ertlif's debut album, originally released in 1972. One of the leading Swiss progressive/psychedelic bands from the '70s. UK sounding doomy and atmospheric psychedelic hard-rock and proto-prog sounds, with lots of Hammond organ, hard guitar, occasional Mellotron, and English vocals. 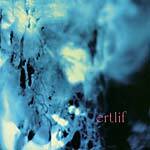 Ertlif was formed in 1970 by two ex-members of Egg & Bacon, lead guitarist Dany Andrey and bass player Teddy Riedo. They were joined by keyboard player James Mosberger (The Only Ones, The Countdowns), drummer Hanspeter "Bölle" Börlin (The Countdowns), and lead guitarist Martin Ruder: the cream of the Basel music scene from that time. The band name was derived from a mysterious medieval magician and alchemist. They were inspired by Pink Floyd, Yes, Procol Harum, Van der Graaf Generator, and Genesis, amongst others. A strong rhythm section and twin lead guitars blended with the Hammond organ, creating the characteristic Ertlif sound. In November 1971, Richard John Rusinski, an experienced singer from England (ex-Autumn Symphony), joined the band. Riedo and Beni Hauri (the band's roadie) had been experimenting with oscillators, noise generators, ring modulators, and other devices since 1969. In early 1972, they introduced these electronic sounds into the band's closing number "Classical Woman", becoming pioneers of electronic music in Switzerland. They also became the first Swiss band to use a Mellotron. The band's instrumental virtuosity established them as one of the country's top acts and they were only a few Swiss groups to be offered a recording contract. In August 1972, their album and a 45 were completed in only four days. The promotional tour began with sold-out shows on three consecutive nights at the legendary Atlantis club in Basel. Ertlif continued performing until 1978, when they disbanded. In 1992, they reformed with the original band members and continued playing live. In 2001 they released a new album on CD. With a new line-up, Ertlif have been active until last year when founding member Teddy Riedo sadly passed away. This album is dedicated to the memory of Teddy. RIYL: Deep Purple, Procol Harum, Atomic Rooster, Black Sabbath, Ainigma, Necronomicon. Expanded to a double set here, including a whole additional album of previously unreleased: 1971 demo recordings, done at the band's rehearsal studio without overdubs, plus a rare compilation only track from 1973 "Plastic Queen", taken from the album Heavenly and Heavy - Mixed Swiss Rock Candies (1973). 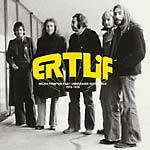 Sommor Records present previously unreleased '74-'75 homemade recordings by Swiss prog/psych legends Ertlif. UK sounding doomy and atmospheric psychedelic hard-rock and proto-prog sounds, with lots of Hammond organ, hard guitar, occasional Mellotron, and English vocals. Ertlif was formed in 1970 by two ex-members of Egg & Bacon, lead guitarist Dany Andrey and bass player Teddy Riedo. They were joined by keyboard player James Mosberger (The Only Ones, The Countdowns), drummer Hanspeter "Bölle" Börlin (The Countdowns), and lead guitarist Martin Ruder: the cream of the Basel music scene from that time. The band name was derived from a mysterious medieval magician and alchemist. They were inspired by Pink Floyd, Yes, Procol Harum, Van der Graaf Generator, and Genesis, amongst others. A strong rhythm section and twin lead guitars blended with the Hammond organ, creating the characteristic Ertlif sound. In November 1971, Richard John Rusinski, an experienced singer from England (ex-Autumn Symphony), joined the band. Riedo and Beni Hauri (the band's roadie) had been experimenting with oscillators, noise generators, ring modulators, and other devices since 1969. In early 1972, they introduced these electronic sounds into the band's closing number "Classical Woman", becoming pioneers of electronic music in Switzerland. They also became the first Swiss band to use a Mellotron. The band's instrumental virtuosity established them as one of the country's top acts and they were only a few Swiss groups to be offered a recording contract. In August 1972, their album and a 45 were completed in only four days. The promotional tour began with sold-out shows on three consecutive nights at the legendary Atlantis club in Basel. Ertlif continued performing until 1978, when they disbanded. In 1992, they reformed with the original band members and continued playing live. In 2001 they released a new album on CD. With a new line-up, Ertlif have been active until last year when founding member Teddy Riedo sadly passed away. This album is dedicated to the memory of Teddy. RIYL: Deep Purple, Procol Harum, Atomic Rooster, Black Sabbath, Ainigma, Necronomicon. Sommor Records present a reissue of Fusioon's Danza Del Molinero, originally released in 1972. This is the first album by these Catalan psych-progsters. Traditional Spanish songs receive a psychedelic/progressive/jazz-rock treatment with a tremendous rhythm section (drum breaks galore), fuzz-tone guitar, Hammond and analog keyboards, piano, and occasional string arrangements. RIYL: Soft Machine, Egg, Goblin, Arzachel, Le Orme, Collegium Musicum. Master tape sound. Original artwork in gatefold sleeve; Comes with an insert with rare photos and detailed liner notes in English/Spanish/Catalan. Sommor Records present a reissue of Fusioon's Farsa Del Buen Vivir, originally released in 1974. 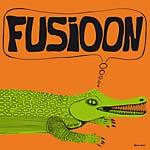 This second album by Fusioon is one of the masterpieces from the '70s Catalan/Spanish psychedelic and progressive scene. Produced by the great Josep Llobell, you'll find here plenty of Hammond, Moog, effects, a solid rhythm section, distorted lead guitar, and highly inventive arrangements. RIYL: Soft Machine, Egg, King Crimson, Gentle Giant, The Nice, Focus, Goblin. Master tape sound. Original artwork; Comes with an insert with rare photos and detailed liner notes in English/Spanish/Catalan. S to S is one of those obscurities that have remained unknown to collectors of hard rock for many years. Sommor Records presents the first ever reissue with the band's story told for the first time. 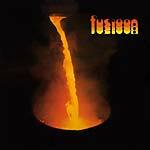 S to S emerged out of the ashes of the band Etna, featuring the Cannella brothers: Fulvio on lead guitar and Mirco on bass along with George Abry on drums. After the demise of Etna, the Cannella brothers decided to form a power-trio: S to S was born. Upon meeting producer Michel Dickenscheid, they were offered a deal: the band would help Michel to build a new recording studio in exchange of free studio time with the intention of recording their first album, which would be produced by Michel. So they built a state-of-the art studio with their own hands and soon after recorded S to S. Mirco switched from bass to guitar so they recruited a new bass player, Picci Salvatore, who abandoned the band just after the recording sessions. A friend of the band played occasional keyboards and Michel, the producer, played sax on "I'm Fool", the most psychedelic sounding song of the album, similar to early Hawkwind. The rest of the songs are prime examples of pure hard rock featuring layers of fuzzed-out guitars and killer riffs by Fulvio, a monstrous sound created by producer Michel using primitive homemade pedal effects and up to four guitar overdubs. The album was completed in early 1977 but remained on the shelf until the following year. The band members were very pissed off when they received the albums from the pressing plant and discovered that their manager had included a logo with Sig runes lettering in the cover without consulting them. Only 300 copies were pressed on their own Overcome label. Remastered sound. Insert with detailed liner notes by Pascal D'Hooghe and rare photos. Highly recommended to anyone into Raw Power era Stooges, Back in the USA era MC5, Pink Fairies, early Motörhead, Hawkwind. LP version. S to S is one of those obscurities that have remained unknown to collectors of hard rock for many years. Sommor Records presents the first ever reissue with the band's story told for the first time. 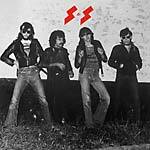 S to S emerged out of the ashes of the band Etna, featuring the Cannella brothers: Fulvio on lead guitar and Mirco on bass along with George Abry on drums. After the demise of Etna, the Cannella brothers decided to form a power-trio: S to S was born. Upon meeting producer Michel Dickenscheid, they were offered a deal: the band would help Michel to build a new recording studio in exchange of free studio time with the intention of recording their first album, which would be produced by Michel. So they built a state-of-the art studio with their own hands and soon after recorded S to S. Mirco switched from bass to guitar so they recruited a new bass player, Picci Salvatore, who abandoned the band just after the recording sessions. A friend of the band played occasional keyboards and Michel, the producer, played sax on "I'm Fool", the most psychedelic sounding song of the album, similar to early Hawkwind. The rest of the songs are prime examples of pure hard rock featuring layers of fuzzed-out guitars and killer riffs by Fulvio, a monstrous sound created by producer Michel using primitive homemade pedal effects and up to four guitar overdubs. The album was completed in early 1977 but remained on the shelf until the following year. The band members were very pissed off when they received the albums from the pressing plant and discovered that their manager had included a logo with Sig runes lettering in the cover without consulting them. Only 300 copies were pressed on their own Overcome label. Remastered sound. Insert with detailed liner notes by Pascal D'Hooghe and rare photos. Highly recommended to anyone into Raw Power era Stooges, Back in the USA era MC5, Pink Fairies, early Motörhead, Hawkwind. Sounding at times like Vashti Bunyan fronting Sunforest, Floret Silva is a haunting mix of medieval music and progressive psych folk with Latin lyrics straight from the 13th-century Carmina Burana manuscript. The Floret Silva project was born when minimalist composer Kay Hoffman went to Italy in the mid-'70s. Once there, she met Welsh soprano Jacqueline Darby, who had recently been working with the Italian avant-prog band Pierrot Lunaire. Darby was working on new compositions with RCA producer Vincenzo Micocci in Rome and she asked Hoffman if she was interested in getting involved in a new project. Hoffman agreed and Gaio Chiocchio and Arturo Stalteri of Pierrot Lunaire also joined them on this new venture. Chiocchio travelled from Rome to play the guitar and other friends of Darby's also offered their collaboration. In a short time, Hoffman wrote all the material, inspired by the Carmina Burana and her love of Medieval and Renaissance music. Hoffman also contributed vocals, clavinet, and piano and, with Darby's haunting vocals and an impressive cast of jazz/rock/prog musicians, recorded Floret Silva during 1977 and 1978, under Micocci's guidance. Sadly, RCA backed off and the album went unreleased until a copy of the masters found their way to Japan, where the great Belle Antique label put out the first vinyl edition of Floret Silva in 1985. In 2006, US label Robot Records resurrected it again for its first CD release (ROBOT 034CD). After many years out of print on vinyl, Sommor presents a 2016 edition of this lost piece from the '70s Italian underground scene. A visionary album that anticipated the sound practiced by many neo-folk bands some decades later. RIYL: Jan Dukes de Grey, Vashti Bunyan, Sunforest, The Wicker Man, Pierrot Lunaire, Opus Avantra, Current 93, Nico, Gal Costa, The Wooden O, Giles Farnaby's Dream Band. . . . Master tape sound. Includes four-page insert with detailed liner notes by Richard Allen and photos.